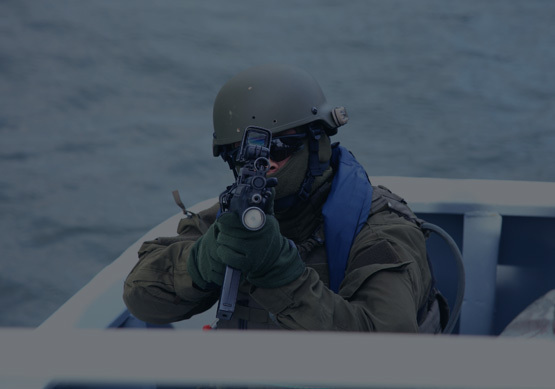 Our teams are the best trained and equipped in the industry; we confidently guarantee the ability to provide services and solutions no other maritime security company can. Time is money and we understand the inconvenience associated with embarked security. The costly delays associated with geographic constraints receiving your team, inconsistency in services provided, liabilities associated with the use of arms, and risk absorbed during restrictive port visits, not to mention the pass through cost of travel and weapons handling. With Six Maritime, none of the aforementioned annoyances are factors. On most transits there will be no pass-through costs associated with weapons handling; we have the ability to safely and legally retrieve and store weapons nearly anywhere in the world at no cost to our clients. This capability saves you an average of $5,000 to $10,000 USD per transit. Additionally, our teams use small special operations boats to embark and debark before and after your port call. Therefore, we often do not have the same geographic constraints and can make trips to any port you desire. Lastly, we provide our state of the art early detection packages so that the use of weapons is a last resort and, in most cases, is not needed even with the presence of armed aggressors. We avoid threats and coordinate with local and regional authorities to contend with them before a physical response from your ship is needed. Hire Six Maritime and discover how we are "Leading the Next Generation of Security."